A Very big thank you to everyone who has supported our various charities throughout the year. 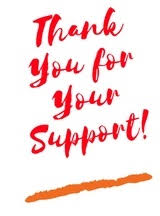 We raised £864 during the year, as well as educational materials, to support the Sudbury School in Ghana, and our Harvest Quiz night raised a further £276 for the school. We raised a total of £860 for MacMillan Cancer Support from our coffee morning and Agnes's open garden. And thank you also for all your Harvest Food Gifts, which are going to the Epsom and Ewell Foodbank and helping local families in crisis.